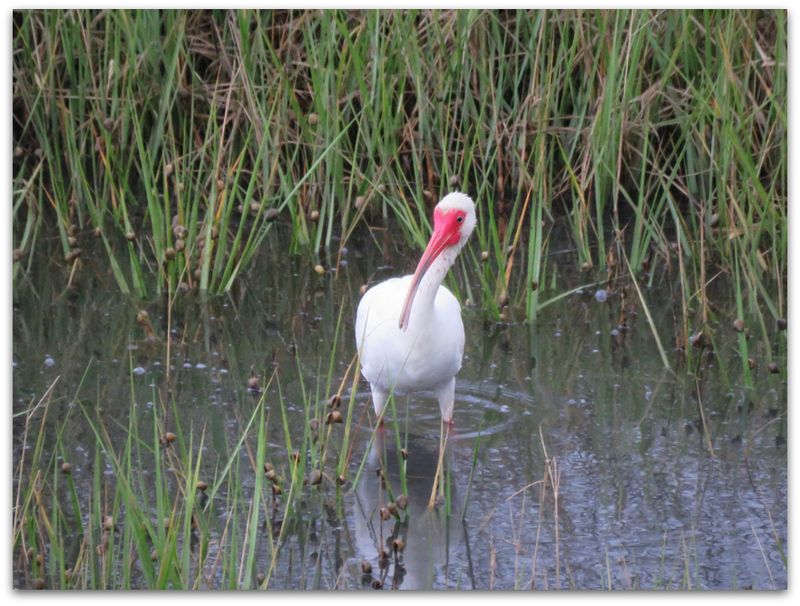 It was a White Ibis morning. 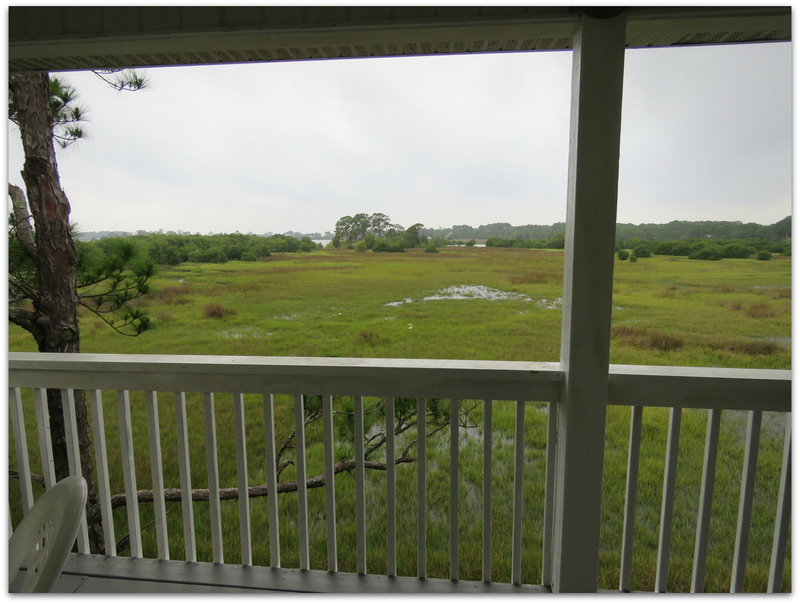 I propped my elbows on the porch railing to take pictures. Nice little flock, with lots of juveniles. This photo shows about one-third of the number I could see. 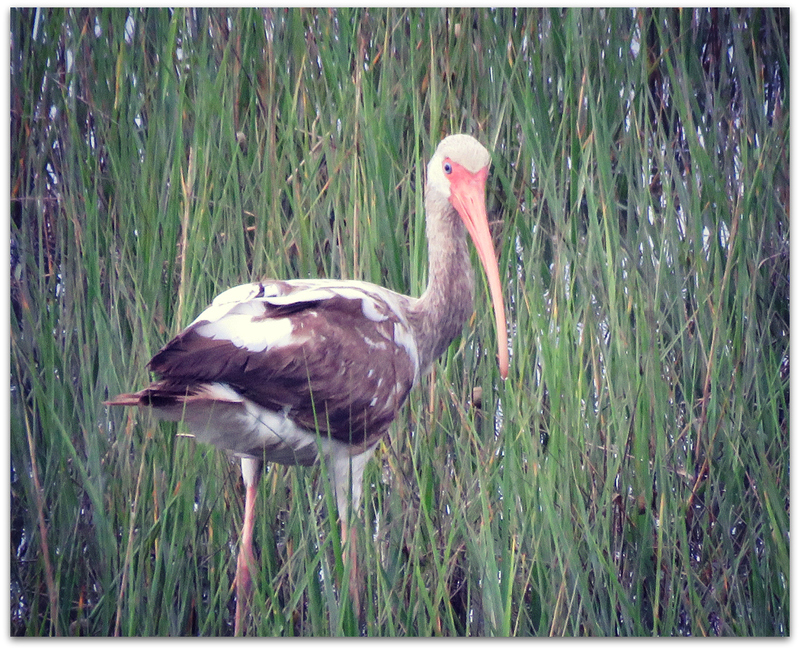 Here’s a White Ibis young ‘un. 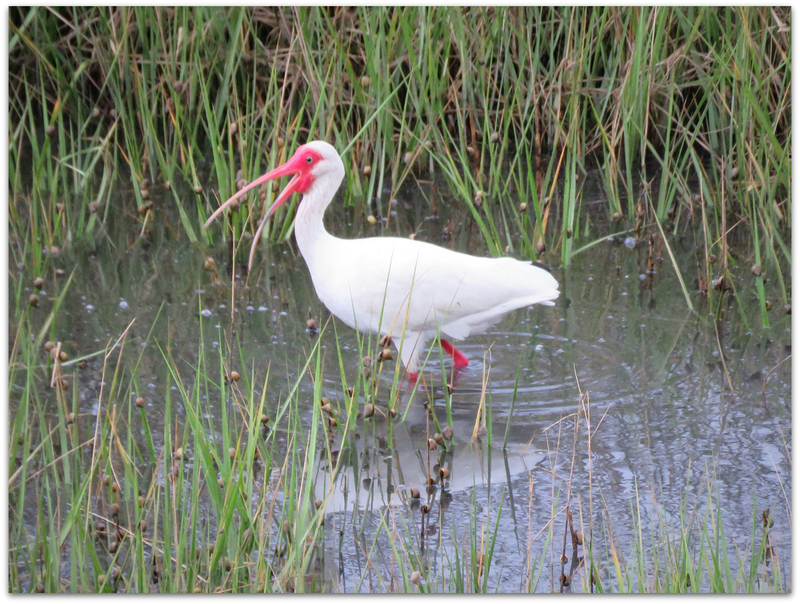 The American white ibis (Eudocimus albus) is a species of bird in the ibis family, Threskiornithidae. It is found from the mid-Atlantic and Gulf Coast of the United States south through most of the coastal New World tropics. 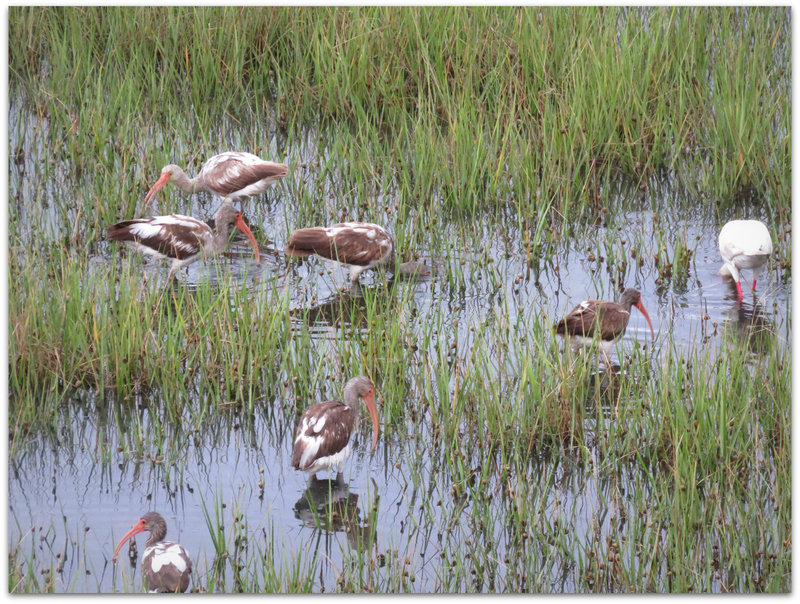 This particular ibis is a medium-sized bird with an overall white plumage, bright red-orange down-curved bill and long legs, and black wing tips that are usually only visible in flight. Males are larger and have longer bills than females. The breeding range runs along the Gulf and Atlantic Coast, and the coasts of Mexico and Central America. Outside the breeding period, the range extends further inland in North America and also includes the Caribbean. Their diet consists primarily of small aquatic prey, such as insects and small fishes. Crayfish are its preferred food in most regions, but it can adjust its diet according to the habitat and prey abundance. It is a tactile, non-visual forager, whose main foraging behavior is probing with its beak at the bottom of shallow water to feel form, and to capture its prey. And what a strange beak it is. It seems to become one with its face. 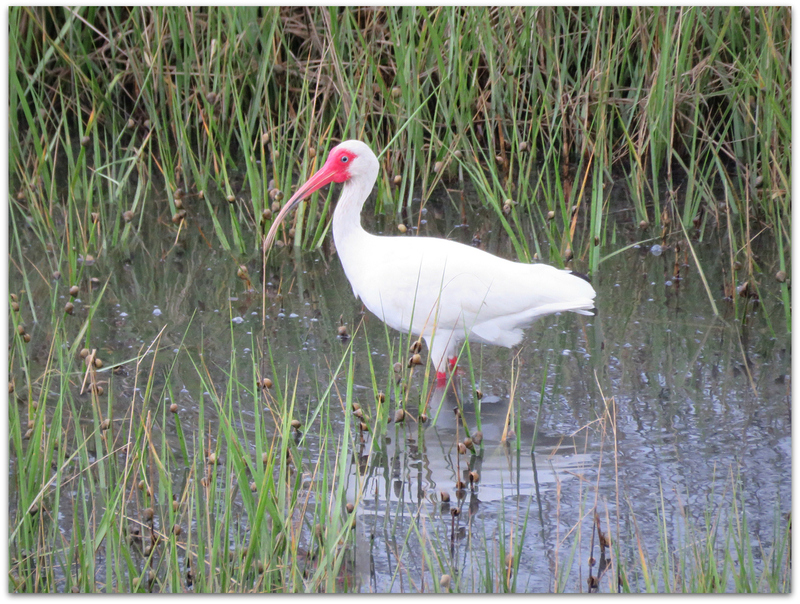 The White Ibis has a cheerful look, both elegant and a bit comical. 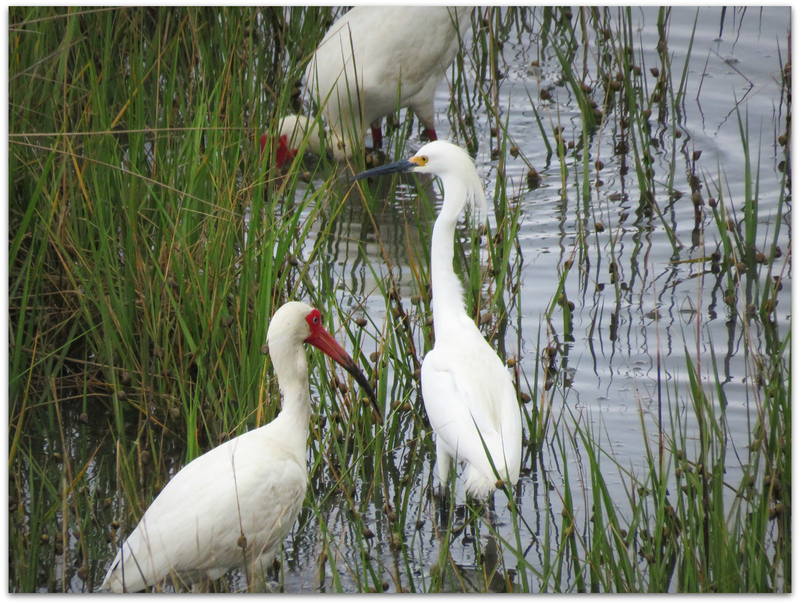 This entry was posted in Uncategorized and tagged birds, cedar key, Florida, Snowy Egret, White Ibis on April 27, 2015 by Amy.